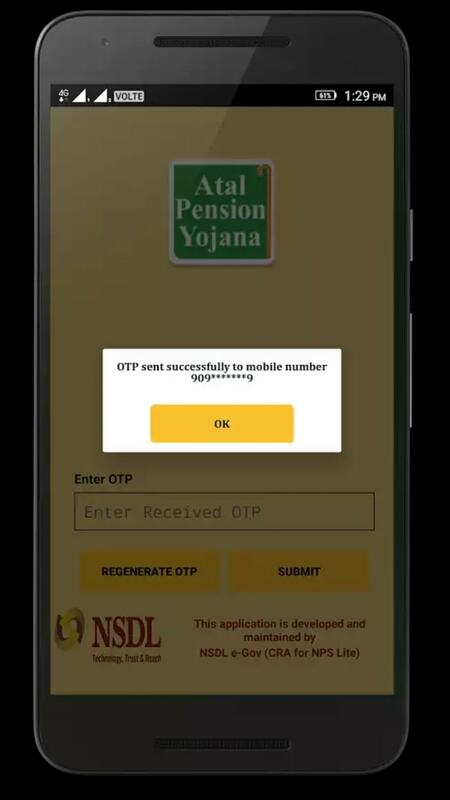 An official from Atal Pension Yojana has announced that PFRDA – run Atal Pension Yojana (APY) has reached a subscriber base of 80 lakh. the Pension Fund Regulatory and Development Authority of India (PFRDA) said in a statement. As per the reports, Uttar Pradesh (UP) is the highest contributing state at 11.41 lakh APY subscribers, followed by Bihar and Tamil Nadu at 8.87 lakh and 6.60 lakh respectively. To make the program popular amongst the masses PFRDA (Pension Fund Regulatory and Development Authority) has taken various initiatives in order to expand the outreach of the program and easing operations under APY such as account statement view and e – PRAN (Permanent Retirement Account Number) so that customers can easily access their account. it is promoting digital initiatives for the convenience of subscribers and they can register for the scheme online as well to eliminate the need for furnishing physical documents. The APY (Atal Pension Yojana) was earlier known as Swavalamban Yojana. This scheme is a Government-backed Pension Scheme which is launched by the Prime Minister Narendra Modi on 9th May 2015 in Kolkata, West Bengal. This scheme is administered by PFRDA (Pension Fund Regulatory and Development Authority) under the National Pension System. The main objective of this scheme is to enhance the old age income security of the working poor and it mainly focuses on the weaker sections of the society. This scheme provides a guaranteed monthly pension amount. The scheme came into operation in June 2015 and under this plan, the subscriber will receive a fixed pension after the age of 60 depending on their contribution amount and tenure. Atal Pension Yojana reached a member of more than 62 lacs within a span of two years after its launch. Pension Fund Regulatory Development Authority said that – At a time when the interest rate on various financial instruments including Savings Bank is declining, Atal Pension Yojana as a pension scheme offers a guaranteed rate of 8% assured return for the subscribers and also the opportunity of higher earnings in case the rate of return is higher than 8% at the time of maturity, after staying invested in the scheme for 20-42 years. Increasing enrollment is attributed to financialisation of assets and driving the people to pension products which has Govt of India implicit guarantee to give an assured pension to the subscriber, spouse and return of corpus to the nominee. As reported by the PFRDA, a total of 3.07 lac APY accounts have been acquired so far under “One Nation One Pension”. Some of the prominent Banks in the country have been participating widely in the campaign and managed successfully to get the enrollments. The objective of PFRDA is to cover the maximum possible population uncovered by any pension scheme under the APY scheme so that India as a nation can move from a pension less to a pensioned society and the citizens can live a life of dignity in their vulnerable years. Also, the PFRDA had made an effort to include all those citizens of the country in the Atal Pension Yojana, who are not covered by any pension scheme. It had also organized a National Level Pension Mobilized Campaign “One Nation One Pension” from August 2-19. Atal Pension Yojana (APY) is a Government initiative to bring the unorganized sector of Indian workforce under a pension scheme and inculcate a systematic savings habit on them. Any Indian citizen between the age of 18 and 60 years with a bank or post office savings account can invest in it. Government of India (GOI) introduced this scheme in 2015 – 16 budgets and was operationalized from June 2015. 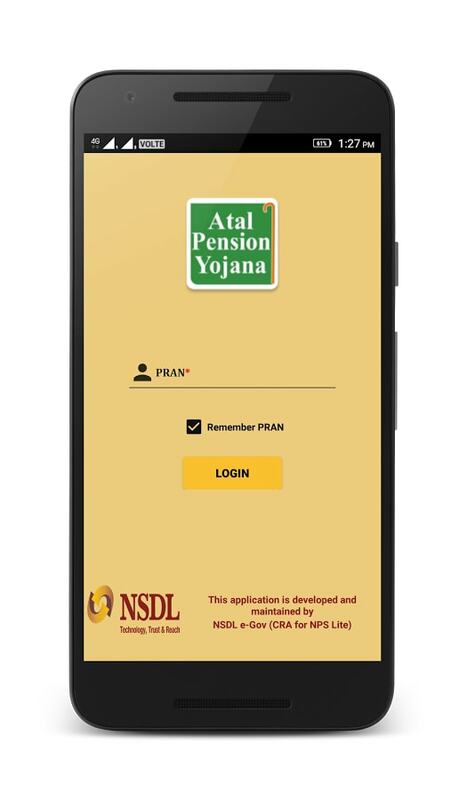 Atal Pension Yojana is regulated by the Pension Fund Regulatory and Development Authority (PFRDA) under National Pension Scheme. 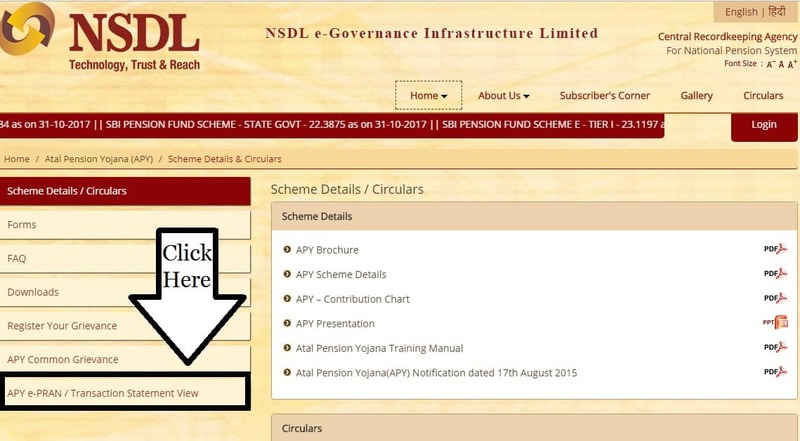 In Atal Pension Yojana, the subscribers can check the contributions they made, digitally. 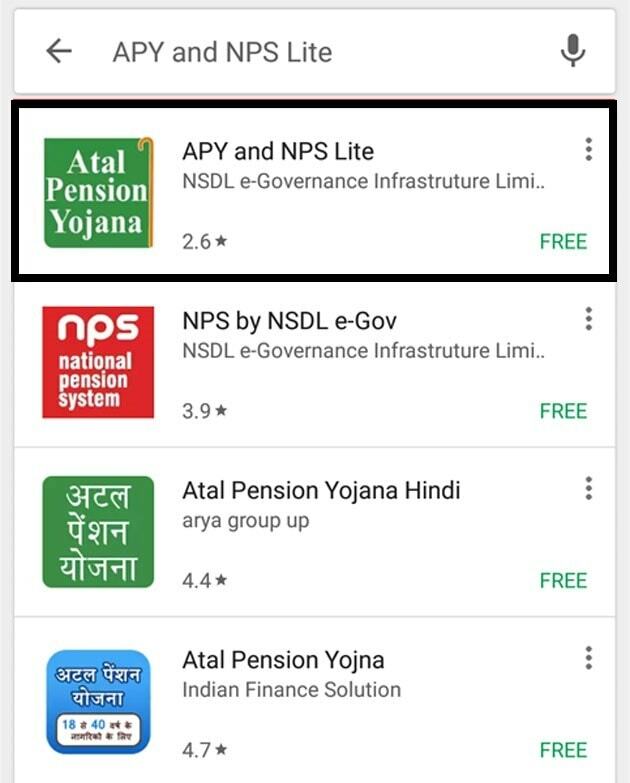 And there are two ways to do the same; first, by visiting the official website of NPS or by downloading the APY and NPS Lite App from the Google Play Store. In this article we will discuss the first step i.e. by visiting the official website of NPS. Before starting with the procedure make sure that you have your PRAN (Permanent Retirement Account Number), which is usually sent via SMS, to the registered mobile number. On the website you will have to provide your bank account number to log in. 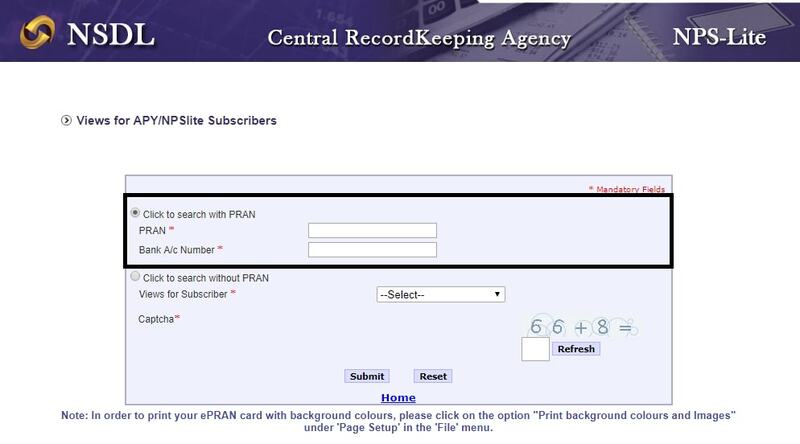 If you have PRAN, you can select with PRAN option and then you will have to provide your PRAN number for further steps along with your bank account number. 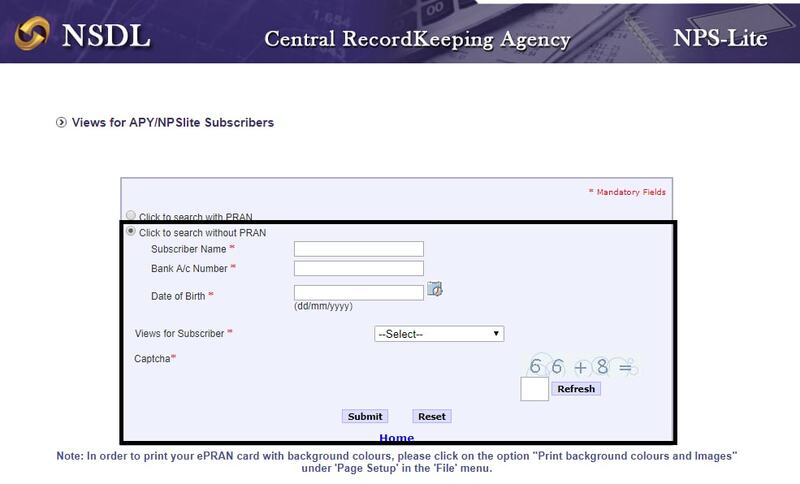 And in case you don’t have your PRAN number, you can select without PRAN number and provide “Subscriber name, Bank A/C number, and Date of Birth (DOB)“. 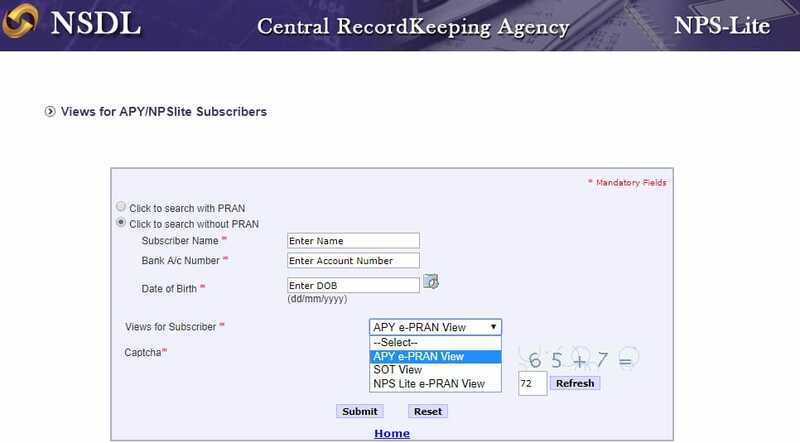 And from “Views for Subscriber” select APY e – PRAN view” from the drop down, fill the captcha code and click on submit. This site will provide you with information such as pension start date, pension amount you have opted for, APY service provider etc. You can check the contribution monthly, quarterly or half – yearly basis. 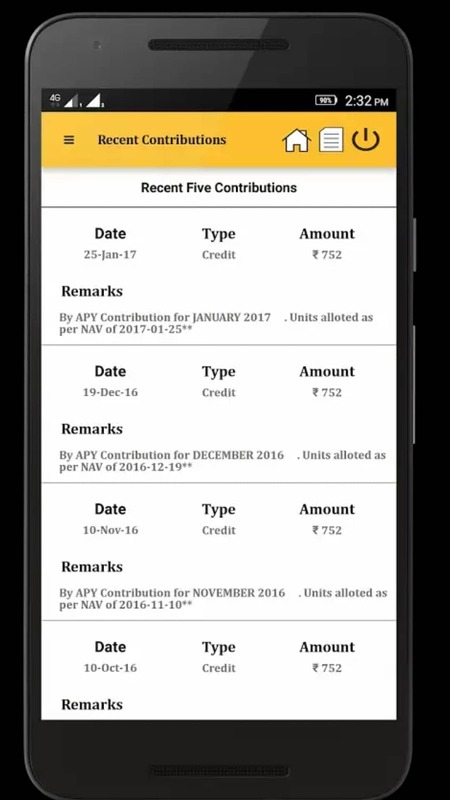 How to track contributions made to Atal Pension Yojana through the App? If you have a smart phone, you can install this app ‘APY and NPS Lite‘ app from Google Play Store. An OTP will be sent to your registered mobile number and it will be automatically picked from the SMS and click on submit. The homepage will show you in which scheme your money is invested. 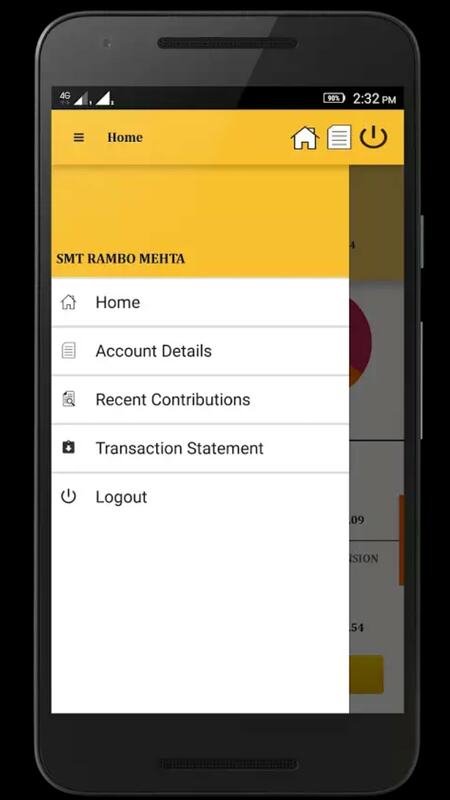 You can also download the transaction statement using the app. 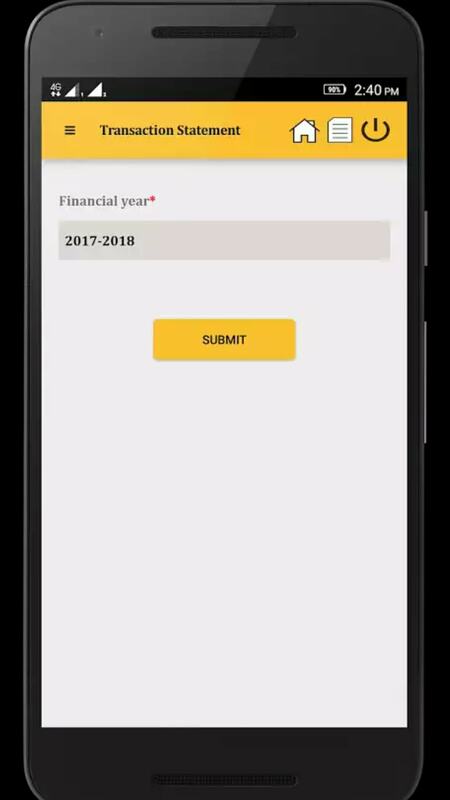 Select the option to view your account details. In case you don’t have a secured internet connection, an SMS will be sent to your registered mobile number to intimate the status of your contribution. In an event held by PFRDA earlier this year, the Ministry of Finance stated that it expects to increase the number of subscription under Atal Pension Yojana (APY) to 1 crore(read more). At present, there are 69 lacs subscribers under this scheme which are mainly from the organised sector. Thus if more people from the unorganised sector can be included under the scheme the number of subscribers will definitely rise to its expected goal by next year. In a recent conference on Atal Pension Yojana held on 16, October 2016, PFRDA Chairman, Shri Hemant. G Contractor emphasised the need of increasing the pension coverage in India. It was initiated by Pension Fund Regulatory and Development Authority (PFRDA) in the national capital. The conference saw a participation of key dignitaries from all major banks, NPCI, SCHIL, SIDBI, Access Assist and few major MFIs. Mr Hemant further highlighted the fact that while APY has been successful in covering the intended subscribers but much needs to be done.While talking about the progress made by the scheme he added that a little less than 2 % of the eligible population is covered under APY. Thus he stated that a lot needs to be done to help people to have regular access to old age income. Atal Pension Yojana is a flagship program initiated by the government to provide financial security to ageing people. Further, the scheme also aims at increasing savings amongst middle and lower income middle class section of the society. As under this plan, the subscribers will be given regular pension once they turn 60 years old, depending on the amount they have invested and tenure. While talking about the significance of the scheme, PFRDA chairman touched on the topic of APY accounts and held that the objective of the scheme can only be achieved if the contribution to the accounts is paid on a regular basis. The aim of the conference was to deliberate on the scope and broader objectives of the Atal Pension Yojana (APY) scheme and discuss the way forward for the greater coverage under the scheme. A video message by the Secretary of DFS, Shri Rajiv Kumar was played on the occasion. He remarked that while Atal Pension Yojana is a flagship program for financial inclusion and financial security, only 12% of the population is covered under the pension scheme. He congratulated the banks on their performance under the scheme and encouraged them to continue the work. He also emphasised the importance of e-APY, which is a digital platform for APY by PFRDA and stated that the performance of the banks under this scheme will be monitored by the DFS. He further held that the targets under this scheme must be accomplished. It must be noted that the old age section of the society is the fastest growing demographic in the country. This became possible with the increase in longevity of people due to inventions of new medicines, better medical equipment, increase in hospitals etc. Further with the increasing shift to the nuclear family system from the joint family system, there is a greater need for old age security than ever before. At present, 110 million people in India are above 60 years of age which will increase up to 180 million by 2030. Atal Pension Yojana is a self-regulatory scheme with a very low contribution by the subscribers. As per the saving capacity of the subscriber, APY has the option to increase the pension amount from rupees 1000 to any amount up to rupees 5000. The scheme further allows the spouse to continue to contribute to the account in case of death of the subscriber before attaining the age of 60 years. PFRDA has been continuously making efforts for financial inclusion of people even in the interior parts of the country. At present, the pension scheme is mainly available to the organised sector. Efforts like opening a digital platform like e-APY and encouraging various state governments to contribute under the scheme has been made on the part of PFRDA. The introduction e-APY will help various banks under this scheme for the greater financial inclusion of the country. Recently, the government of India has also made Aadhaar mandatory in order to avail all government schemes. This is also mandatory for all APY subscribers. This will help in identifying the targeted section of the society. Subscribers of Atal Pension Yojana (APY) is expected to increase to 1 crore by March next year, as stated by the Ministry of Finance. He also said that keeping the huge population of the country in mind, pension coverage is very low which needs to go upward. Atal Pension Yojana (APY) is a scheme which is backed by the government and it is specially designed keeping the unorganised sector in mind. This scheme is administered by the PFRDA (Pension Fund Regulatory and Development Authority) under the NPS (National Pension System). This scheme was launched in order to cultivate savings habit in unorganised section of the society. And in old age, this scheme helps the weaker section by providing regular income. As under this plan the subscribers will be given regular pension once they have attained the age of 60 years old, depending on the amount they have invested and tenure. Recently government have mandated Aadhaar card with every other official government documents and schemes. Hence, Government have made Aadhaar compulsory for the APY (Atal Pension Yojana) beneficiaries. And PFRDA (Pension Fund Regulatory and Development Authority) is also offering APY by Aadhaar in a completely digital manner. PFRDAs chairman Hemant Contractor added that pension regulator has developed the process to offer APY enrolment through e – NPS (national pension system) platform for wider reach. Till now the interested people had to visit bank or could enrol through business correspondents and now they can enrol themselves at the convenience of their house i.e. through internet.